Is it really almost time to hug this guy again?! 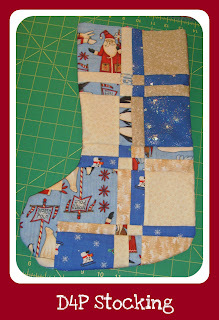 Judy at Patchwork Times is putting together a link list of gift giving ideas for the holidays. She's already done a great post of things to make and give that don't involve sewing, but food! While I'm not planning to divulge this year's goodies, I did make a lot of Holiday gifts 2 years ago. I made my nieces some doll quilts using leftover strips and squares. I added some rick rack too! I made my daughter a makeup bag with leftover strips from a project. It was loosely based on the tutorial at Moda Bakeshop. Tablerunners, tea cozies, and placemats can all be made unique with fabric choices to match the recipients taste and decor. Judy has already mentioned making part of the gift. 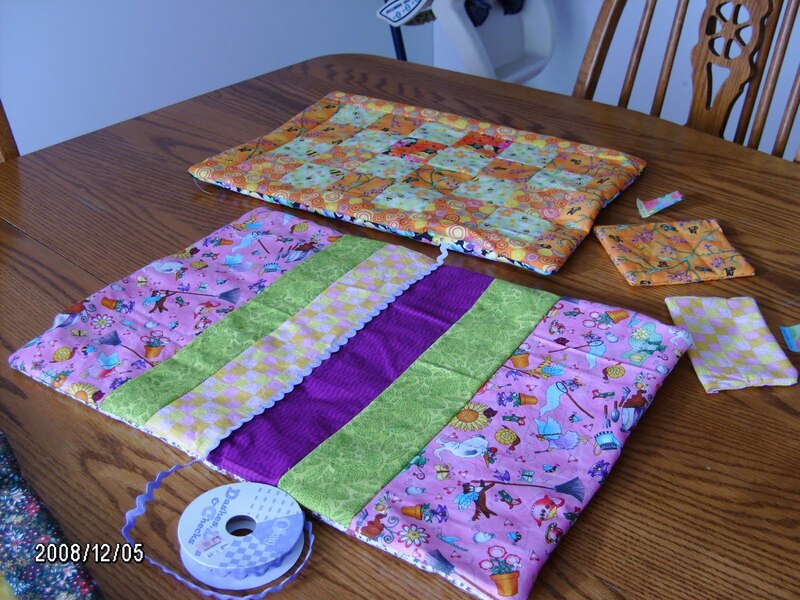 Think potholders with kitchen gadgets. I like to make the friendship bag. some fabric, a toy, fudge, be creative! I have a selvage coaster tutorial that makes up quick, unique gifts. I've also posted a tutorial to make this stocking. here is the free template I put out to celebrate 50 followers. I hope you enjoyed this post of ideas. 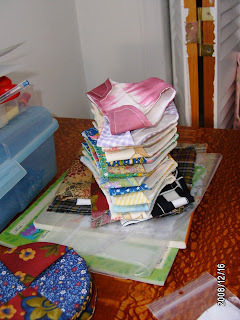 or even join Judy's links with a blog post of your own! 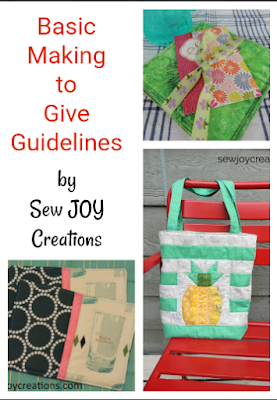 Great ideas ... the sweet doll quilts and diapers are sooooo cute!